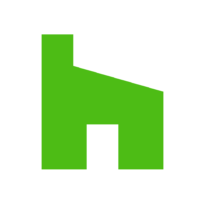 Houzz is the leading platform for home remodeling, improvement, and design. We provide our community of over 40 million unique monthly users with everything they need to improve their home from start to finish. Our mission is to create the best experience for home design, removing the barriers between homeowners and home designers. Our sales team strives to help remodelers, designers, builders and other home renovation professionals showcase their work to our community. By applying our technology to build their brands, Houzz helps them grow their networks and collaborate with real, potential clients. We are looking for a hands-on Sales Manager to lead and grow our Berlin based team of Account Executives, who are providing home design professionals on the UK market (think Architects, Interior Designers, Builders, etc) with solutions to build their brand locally on Houzz. Drive growth and hit sales targets by successfully leading an inside sales team that thrives on supportive, real-time candid feedback and coaching. Be a present, hands-on sales leader who manages day-day performance and client needs by consistently maintaining a detailed understanding of pipeline and development needs for each individual on your team. Take immediate responsibility for a team of 8 but continue to attract, hire and develop others. Maintain a strong grasp of key metrics and apply analytical rigour, working with senior management to evaluate and drive sales performance. Shape our growing European advertising business by identifying and developing best practice and process within your team and working collaboratively across functions to enhance the effectiveness of our entire sales organisation. Ready to get your hands dirty to contribute to Houzz’s success – our managers will opportunistically close their own deals! Impeccable verbal and written communication skills (English). Fluency in other European languages is a plus. Seasoned sales professional with successful sales records; experience in selling subscription-based/SaaS solutions preferred. Familiarity with CRM tools (Salesforce), data analysis and reporting. Amazing presentation skills with the ability to convince your team/customers to follow your lead! Bonus points if you are a lover of home design and have a great Houzz profile! Access to our flexible benefits program including childcare vouchers, Cycle to Work (bicycle parking and showers available onsite), dental insurance, health screenings, gym membership discounts, and an annual season ticket subsidy and loan program. You’ll be part of a rapidly expanding team on a mission to grow Houzz internationally. We have an entrepreneurial culture, a warm work environment, and a close-knit family that loves to celebrate birthdays and team accomplishments. – Our beautiful office is located right in the middle of London – in a hip, modern, comfortable environment designed to reflect our culture.